The Course Home Page is associated with the Home link in Course Navigation and is the first page seen for each course. Each Course Home Page can have one of five different layouts depending on your preference. Each Course Home Page layout also includes specific items in the sidebar, in addition to the To Do list. The Course Home Page defaults to the Modules page, but you can change the Course Home Page. Additionally, all Course Home Page layouts can display recent announcements at the top of the page. However, only text and links are displayed for each announcement. Course Modules organizes the course into modules, or sections. 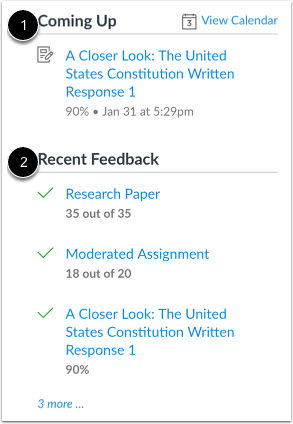 Modules helps outline the course and shows the assignments or tasks required throughout the course. the Coming Up section , which shows the list of activities coming up in the course schedule. Coming Up items reflect activity within the next 7 days. Users can click the Calendar link to access the course calendar. 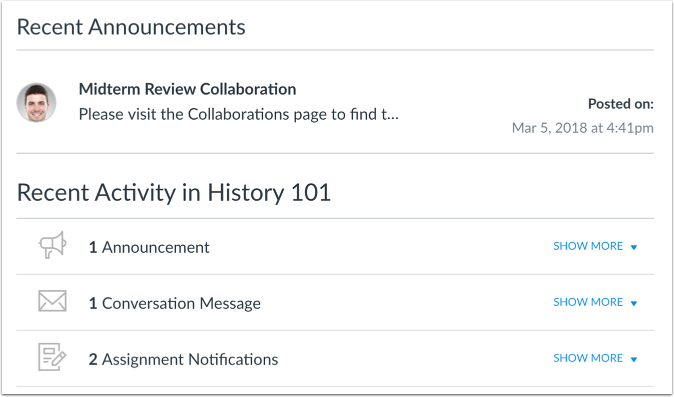 The Course Activity Stream lets users see the most recent activity and interactions for this course. It is very similar to the recent activity stream in the Dashboard but only shows content for the specific course. The Pages Front Page allows instructors to design the course home page and include links, images, or rich media. Students will be able to interact with the content added to this page. The Front Page is also indicated on the Pages Index Page. Students can also view Pages in Course Navigation if the Pages link is shown in the course. Additionally, all Course Home Page layouts can show recent announcements at the top of the page. The Assignment List shows the list of assignments for the course with upcoming and recent assignments at the top of the page. Users can click the link of the assignment to view more details. a link to view grades in the course (students only) . 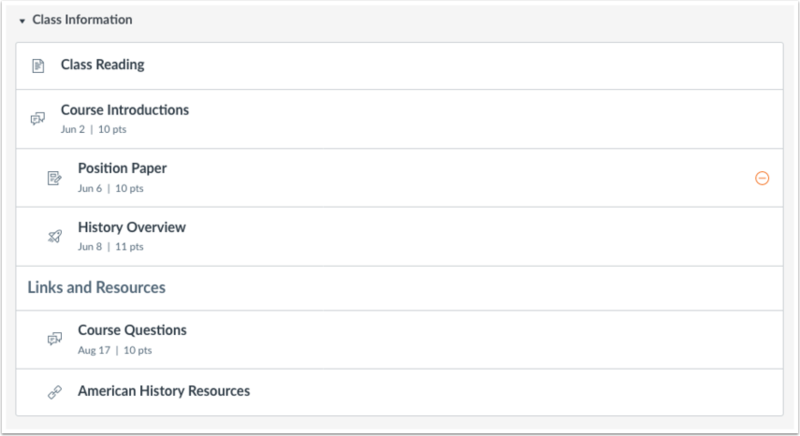 the Upcoming Assignments section , which shows the list of assignments coming up in the course schedule. Upcoming Assignments items reflect activity within the next 7 days. Users can click the Calendar link to access the course calendar. 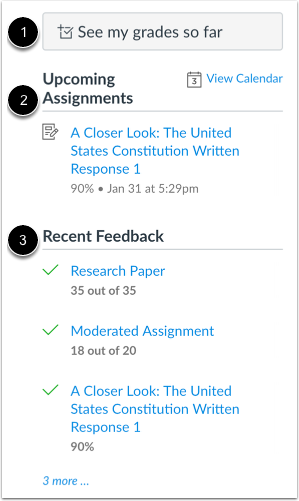 the Recent Feedback section , which shows assignments with instructor feedback during the last four weeks (this section shows to all user roles but feedback is only displayed to students). The Syllabus may include a description of course expectations or introduce the course with links, images, or other content. 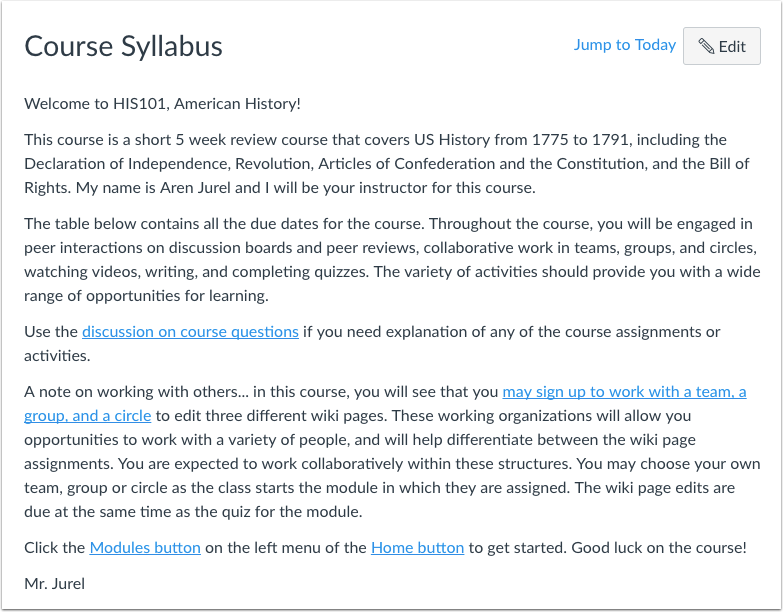 The Syllabus also automatically populates a calendar view of all assignments and course events as they are added or modified in the course. The Syllabus can also be viewed in Course Navigation. a mini version of the course calendar . notice of any weighted course assignments . Previous Topic:How do I manage Course Navigation links? Next Topic:How do I change the Course Home Page? 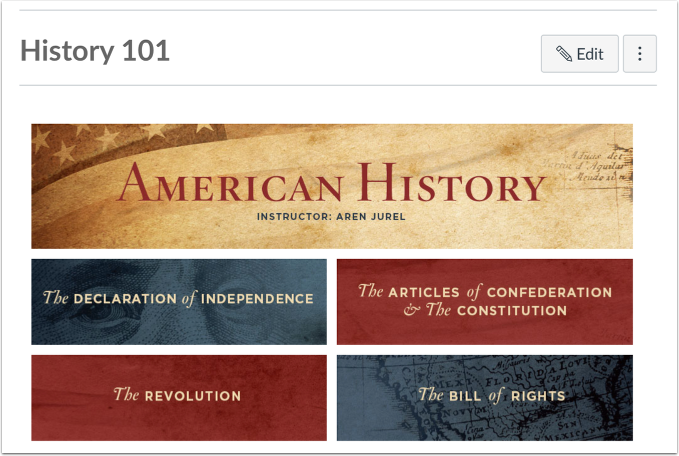 Table of Contents > Course Navigation > What layout options are available in the Course Home Page as an instructor?